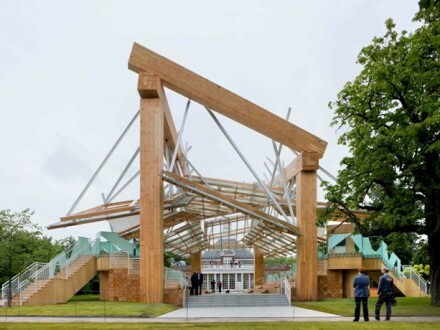 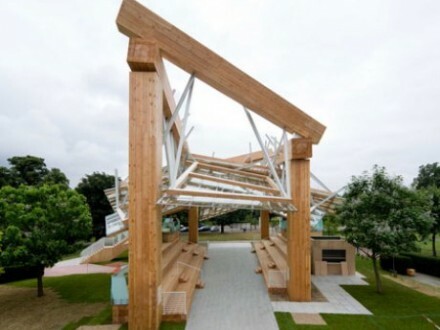 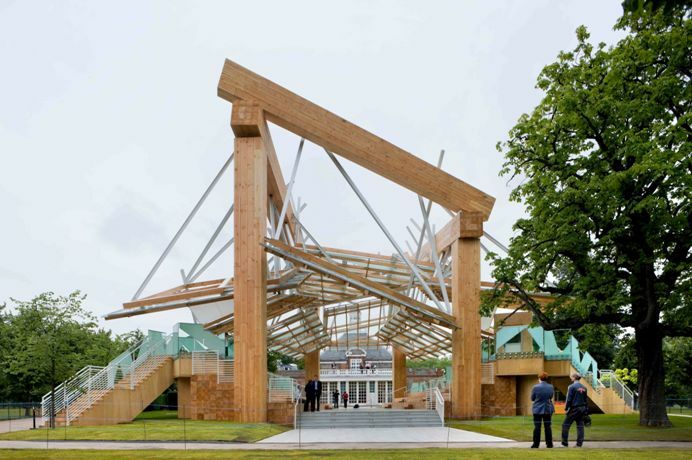 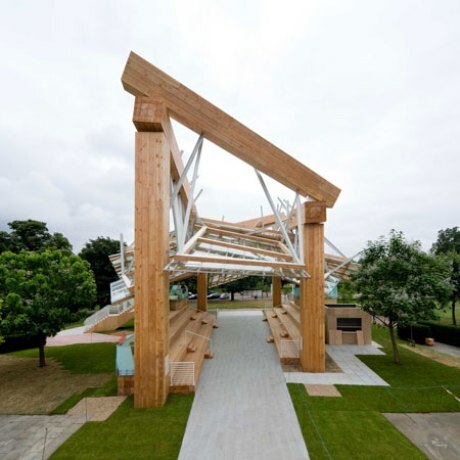 Every year the Serpentine Gallery supports the temporary construction of a pavilion from architects who have not completed a building in England. 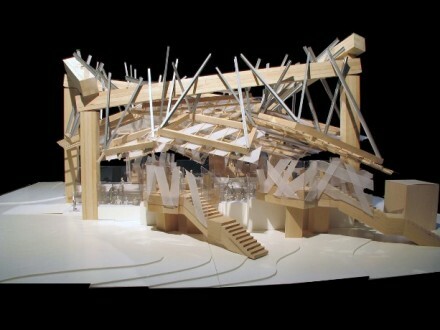 Engineers ARUP worked on all the pavilions between 2000 and 2009 with renowned architects from all over the world. 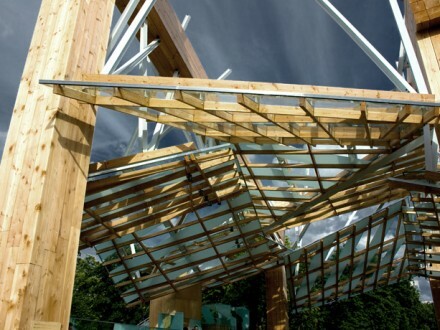 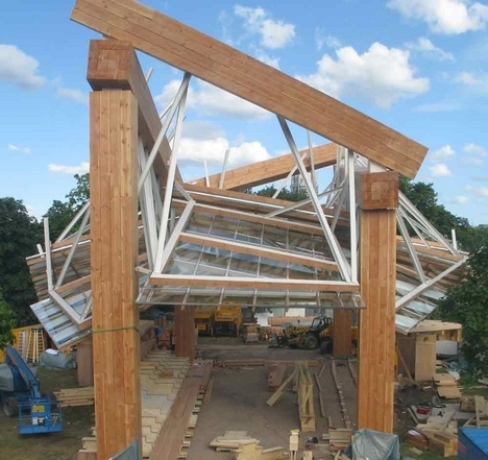 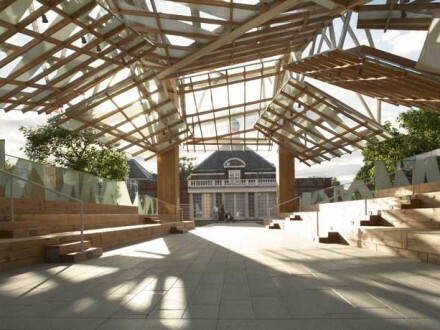 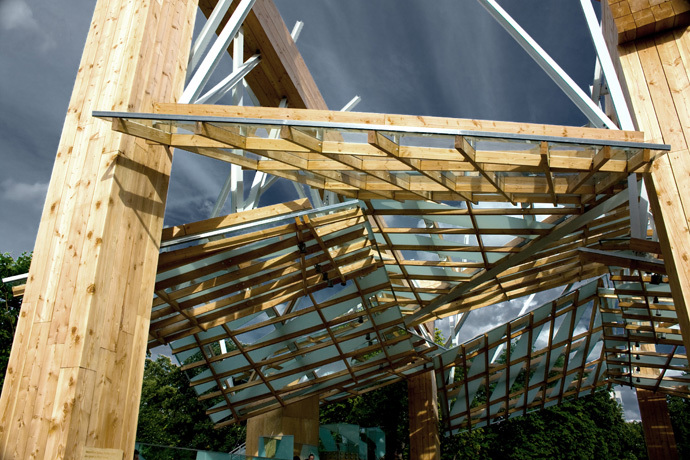 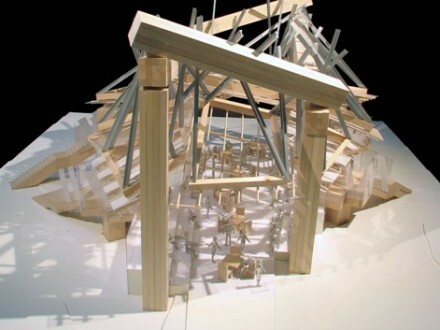 In this video the technical challenges of building Frank Gehry’s complex 2008 Serpentine Pavilion are explored by the people responsible for construction. 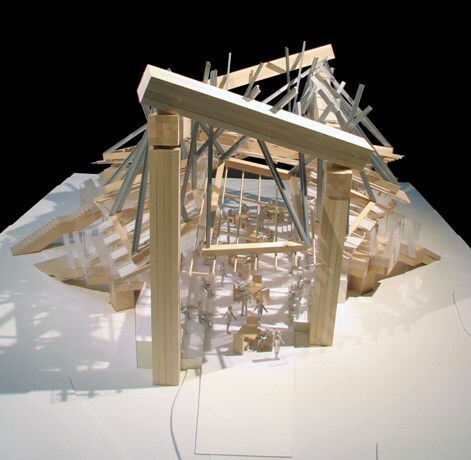 Gehry’s pavilion was part amphitheatre, part processional gallery and part de-constructed barn, with the structure supported by four massive columns. 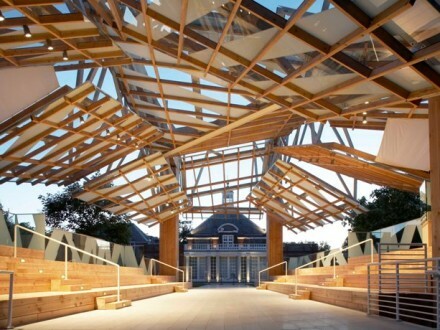 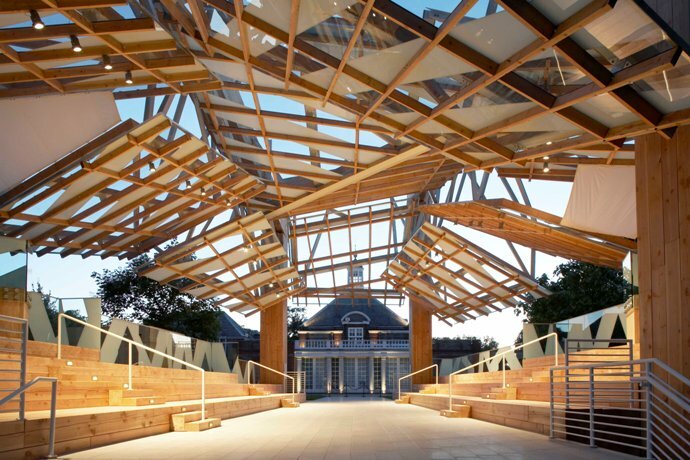 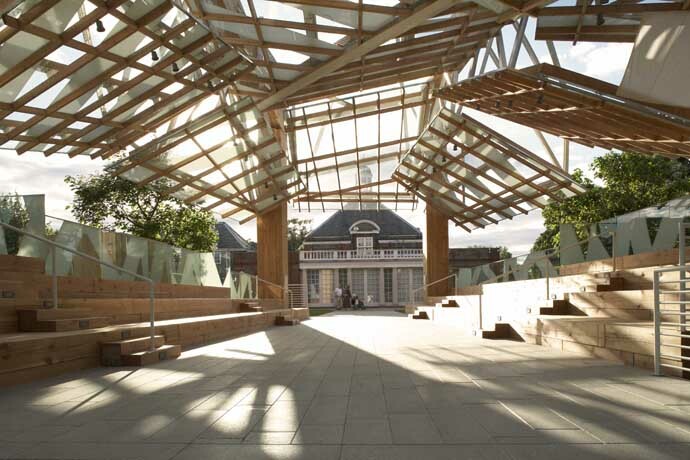 The pavilion had large timber baulks and a network of overlapping glass planes forming a multidimensional space. 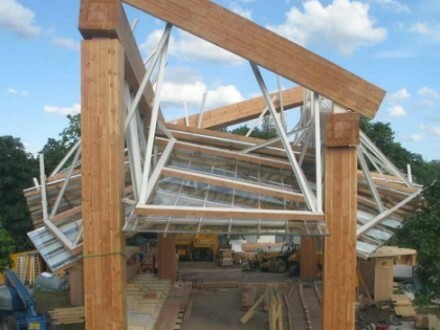 The engineers were involved from conception, participating in the development of design strategies, choice of materials and structural system as well as taking on responsibility for fire safety, accessibility, acoustic versatility, sourcing of sustainable materials and for electrical engineering and drainage strategy.